Whether you’re working hard in class or entering the work force , Baxter Ford is excited to offer eligible students and recent college graduates the Ford college rebate. Qualified participants can save up to $500 on the new Ford model that’s right for them through the Ford Drives U program. * What is the Ford college graduate program? See if you qualify and get more information on this exclusive Ford rebate by visiting our Ford dealership in Omaha, NE. Student is enrolled full-time or half-time based on the specifications of an accredited Four-Year College/University, Junior College, Community College, or Trade School that the student is attending. Student is currently enrolled based on the specifications of an accredited Graduate School program. Student has graduated and is within three years from their date of graduation. High School Seniors or Recent High School Graduates with a letter of intent to attend a qualifying university. College Student Internship Participants, Trade School Apprenticeships and Medical Student residencies. From new Ford Escape and Explorer SUVs that are sure to impress your coworkers to fuel-efficient Ford Fusion and Ford Fiesta cars that can help you save at the pump, we’re sure we’ll have something you love. Or, for a reliable new pickup that can assist at the jobsite, browse our new Ford F-150 trucks for sale. Before you stop in to meet with our Ford sales team, be sure to gather proof of your enrollment or alumni status. Letter from College/University/Trade School Registrar’s office stating conferred graduation date and type of degree earned. Dated letter of intent confirming enrollment -- valid for no more than six months. 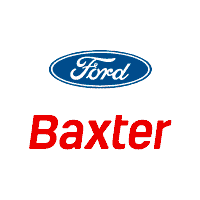 Get directions to Baxter Ford and visit us to take advantage of this exclusive $500 Bonus Cash offer. Grab the keys to a new Ford truck, car or SUV through the Ford Drives U college rebate!